Issue 114 of The Knitter has arrived with subscribers and I believe it's in the shops in the UK now too. 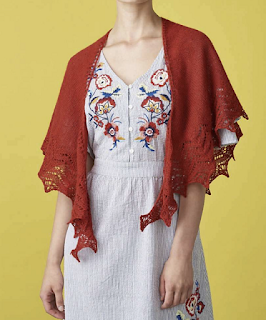 I have a beautiful shawl in this issue in a yarn that was brand new to me. 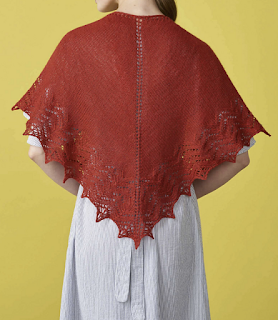 The Knitter says: This shawl by Anniken Allis has beautiful curves that wrap around your shoulders perfectly. It features a deep lace pattern around the lower edge, and a central spine and upper border of eyelets. 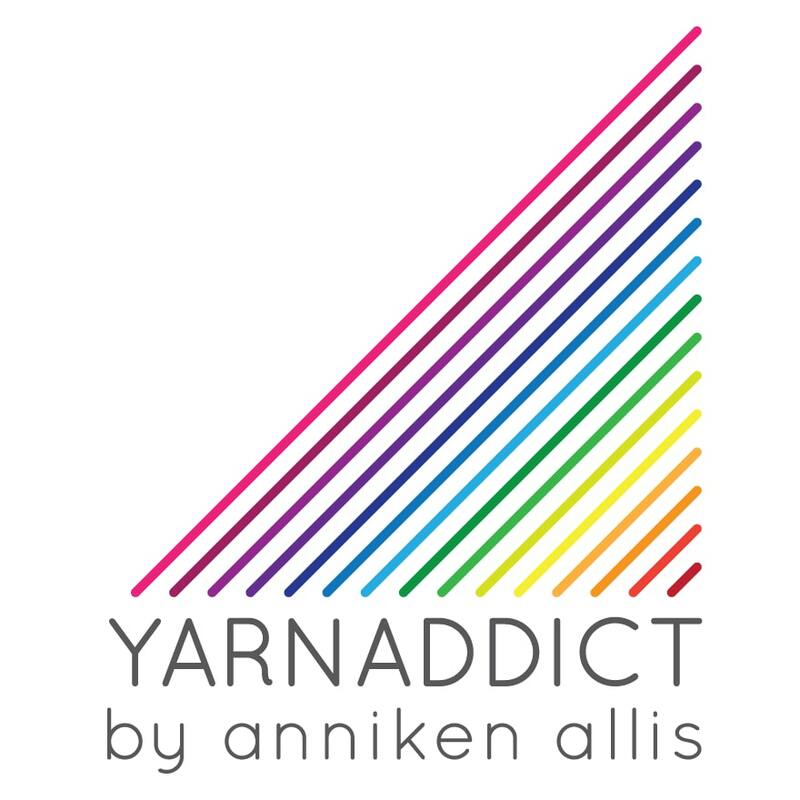 Anniken has knitted her shawl in Amano’s Ayni yarn, a smooth and soft blend of baby alpaca and silk, which comes in 14 warm shades. Brecqhou has an interesting teardrop (or heart) shape which I talk about in this tutorial here. 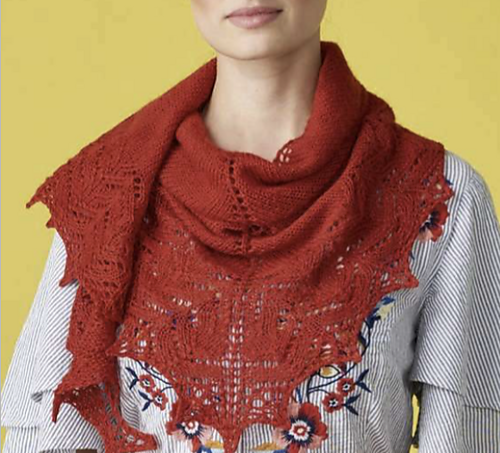 It's a great shape which is perfect to wear as a shawl around your shoulders as the shaping creates a curved top edge which also makes it perfect to wear as a scarf (as in the photo above). I recommend starting this shawl with a Garter Tab cast on. I have a tutorial on that here. If you prefer, you an just cast on 9 sts and start the pattern. It won't make a huge difference but the garter tab looks a bit smoother. 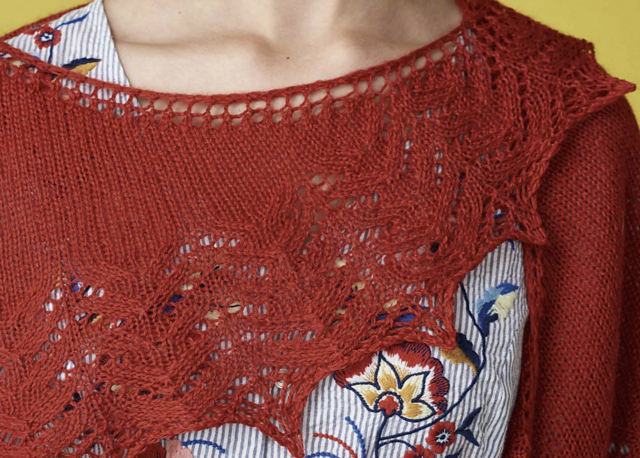 Breqhou is worked from the top down in stocking stitch with a lace edging. 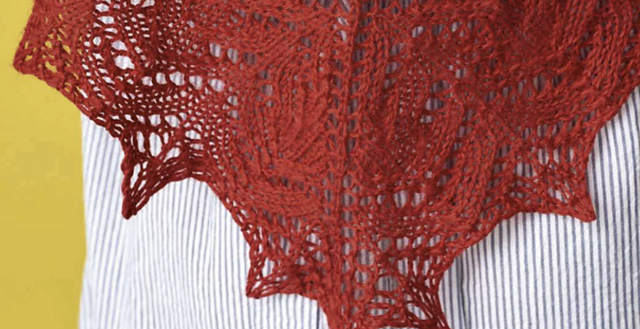 Starting in stocking stitch means you can get used to the shaping without having to worry about following a lace pattern at the same time.